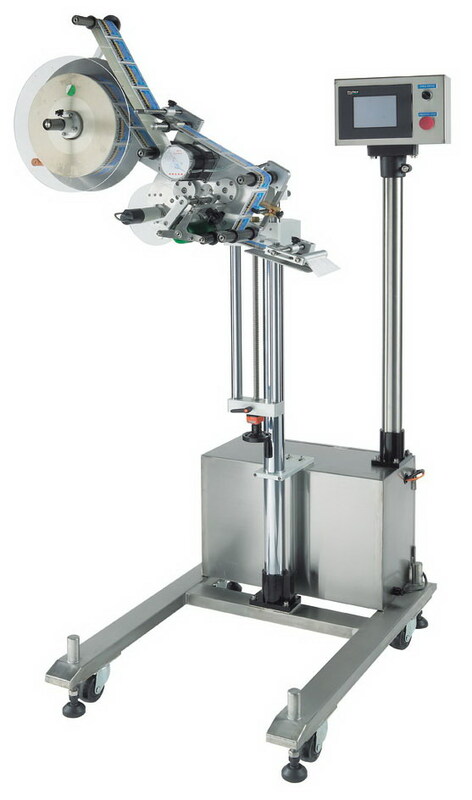 The KWT-201 Series Labeller with Stand is designed to use alongside existing conveyor systems. A Type: for label size from 10 to 120mm in width. C Type: for label size from 10 to 180mm in width. All types for label size from 10 to 250 mm in length. - High-grade stainless steel construction housing. - Digital LCD Touch screen control panel (PROFACE). - National (NAIS brand, Japan made) twin-axis control PLC. - On / Off switch, Emergency stop button. which is adjustable up to 25 Meter/ minute. stainless steel and molded rubber material. - Photocell sensor (SICK brand, France made) with micro tuner.